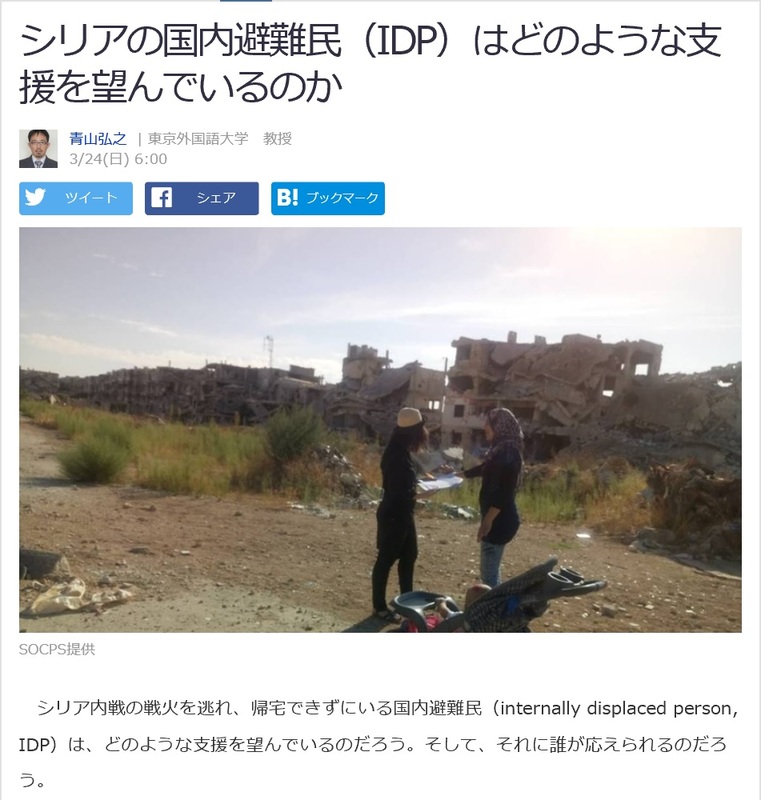 Hiroyuki AOYAMA’s new Japanese article “What Kind of Aid Do Syrian Internally Displaced Persons (IDPs) Need?” has been published in Yahoo! Japan News (individual, March 24, 2019). This entry was posted in Syria by namaken. Bookmark the permalink.